One for the ladies. Check out the offer available and save money on your boots today. Ladies, look no further for your professional, comfortable, affordable Patrol boot by MAGNUM COMPANY. These Ladies Magnum Cobra 6.0 Patrol Boots are currently prices at £84 on the MAGNUM website! Police Discount Offers have found them on offer at a reasonable price from only just £39.99. With FREE DELIVERY. The boot itself, has been made with a specific design focused on women’s fitting allowing for better performance. 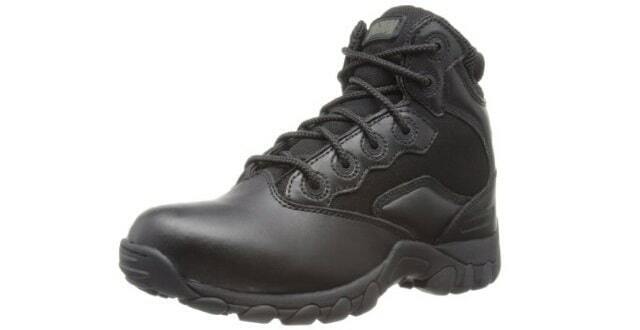 The Police boot is waterproof and made with durable non-metallic composite hardware. So with a discount of up to 50% off and limited stock available – you better be quick, they ain’t going to be round for ever! Are you looking for another type or style of Footwear?